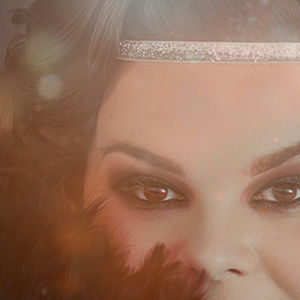 The global insurance giant, Zurich, were looking to host a fabulous & fun evening of Gatsby-style entertainment! Our full-on theatrical extravaganza was a big hit! Many of our clients require more than just “off-the-peg” entertainment and prefer us to create an evening’s production that is unique to their event. 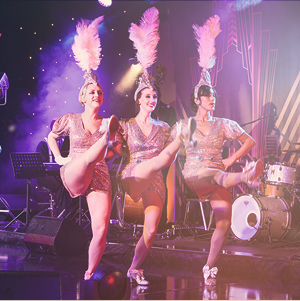 We worked closely with James from Zurich Insurance to produce a dynamic 1920’s extravaganza! Held in the impressive Titanic Hotel, Molls and Dandies greeted the astonished guests as they entered the champagne reception! Against the backdrop of the beautiful reception hall, the guests enjoyed the toe-tapping 1920’s trio whilst they sipped their champagne. After a delectable five course dinner, the show kicked off!!! 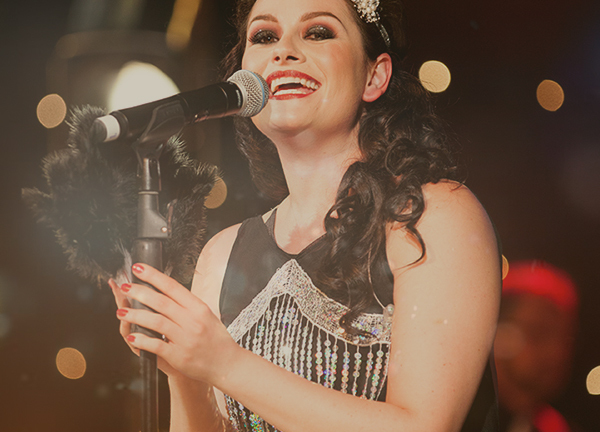 Three sisters, 7 musicians and 10 dancers later… the guests were in full prohibition Swing!